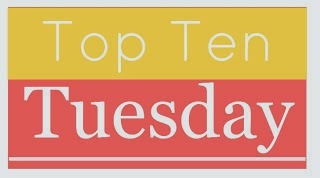 It is a while since I’ve done a Top Ten Tuesday (hosted by The Broke and The Bookish)but Ten Authors I Own the Most Books from appealed so here it is. 1. Terry Pratchett – 35. It was always obvious that Pratchett was going to win. I love the discworld books although I have got a bit behind with them and haven’t read the most recent ones. 2. Margaret Atwood – 18. My favourite author. 3. Ian Rankin – 14. Mostly the Rebus books but a few others. I don’t own the whole series of Rebus books otherwise this would be a bit higher. 4. Julian Barnes – 9. Another favourite although I haven’t loved everything I’ve read by him. 4. Ian Banks – 9. A bit hit and miss but he has written some of my favourite books – The Wasp Factory, for example. 6. Irvine Welsh – 7. I started to read Welsh for my MPhil and I love his early stuff. 6. Ian McEwan – 7. Most of these were read for my MPhil and I loved some and hated others. The Child in Time is one of my favourites. 8. Kate Atkinson – 6. The Jackosn Brodie series and a couple of others. 9. Angela Carter – 5. I thought I had more than this. I need to read some more I think. 9. Martin Amis – 5. Again, a MPhil read and not a favourite.